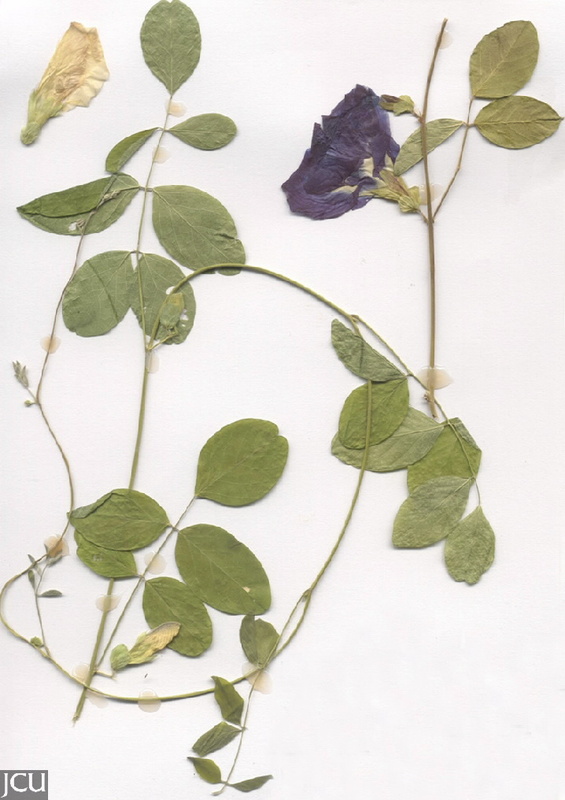 Leaves with 5-9 leaflets. 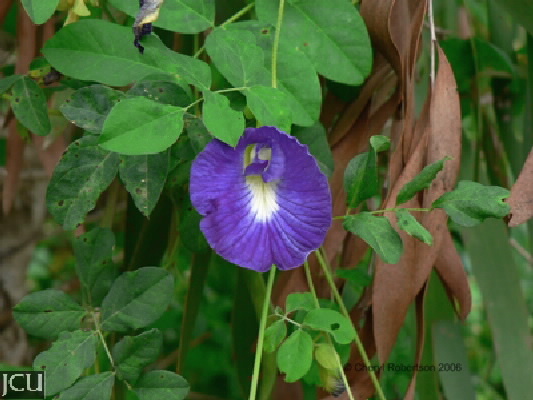 Leaves usually 1 per axil, pea-shaped, large standard to 5 cm long and 2.5 cm wide, blue or white, pale yellow at base. Pod to 11 cm long, flattened, light brown in colour.